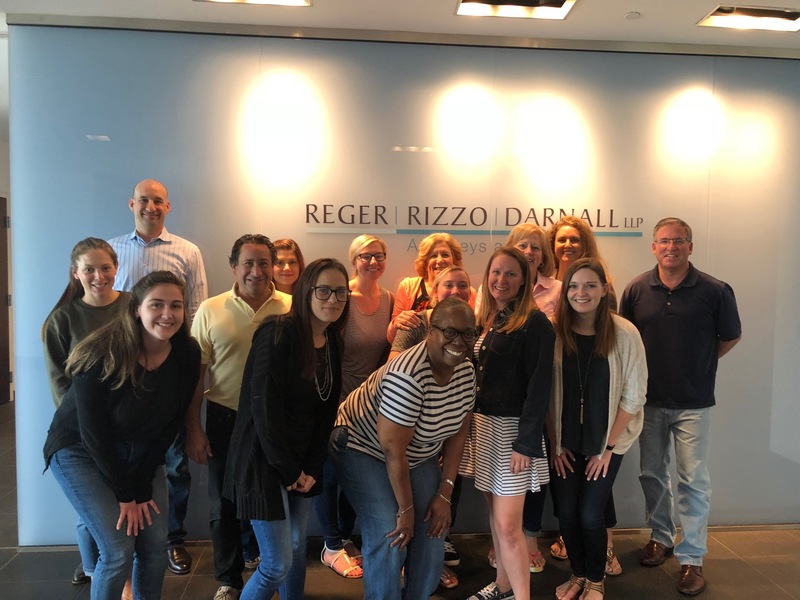 Reger Rizzo & Darnall LLP partnered with the Philadelphia Bar Foundation to raise money in support of the Foundation’s annual Philly Jeans for Justice Campaign. Through the one-day event, Reger Rizzo & Darnall raised more than $300 for the Foundation’s annual fundraising campaign. The attorneys and staffs from all of Reger Rizzo & Darnall’s offices donated money in exchange for wearing jeans to work. The money raised will go to support the Philadelphia Bar Foundation’s funding of grants and legal aid nonprofits throughout the Philadelphia region, including the AIDS Law Project of Pennsylvania, the Disabilities Rights Center, the Education Law Center, the Homeless Advocacy Project, the Pennsylvania Immigration Resource Center, the Senior Law Center, and the Support Center for Child Advocates, among others. The Philadelphia Bar Foundation is dedicated to promoting access to justice for all people in the community, particularly those struggling with poverty, abuse, and discrimination. The Bar Foundation is the embodiment of the Philadelphia legal community’s commitment to this fundamental principle. We accomplish this mission by providing grants and technical assistance in support of quality legal services, addressing unmet legal needs and providing education on matters in the public interest. Through our various programs, services and partnerships, we remove barriers to justice, engage the community to support legal aid, and build system-wide capacity.